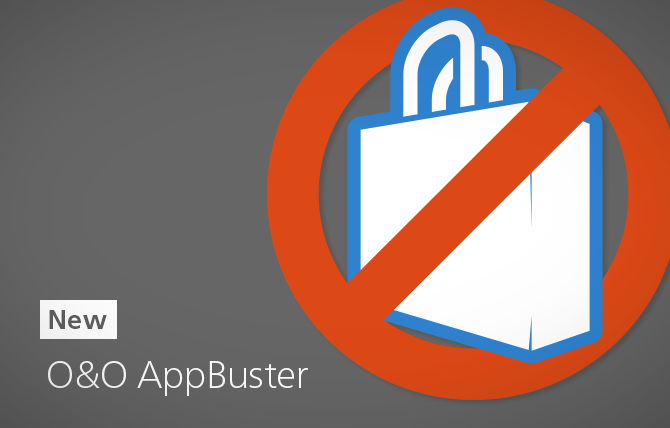 Bust Apps you don’t want – Free! O&O Software’s freeware O&O AppBuster means you have full control over which Apps are installed under Windows 10, and you decide which ones you no longer need so that you can free up much needed space on your PC. Using a very simple interface, we’ve divided the apps into categories and give you tips on which apps you can safely remove or reinstall with one click and which ones you should leave. By setting a system restore point, you can also undo any changes at any time, should you make a mistake or change your mind. Download O&O AppBuster free from our Website. O&O AppBuster is entirely free (freeware) and does not have to be installed – it can be simply run directly and immediately on your PC (portable). And it will not install or download retrospectively unwanted or unnecessary software, like so many other programs do these days! Decide for yourself which Windows 10 Apps you keep installed on your PC. O&O AppBuster presents you with a list of all the Microsoft-supplied Apps in one location – you need no previous IT knowledge and there is no need to manually change the Windows 10 system settings. We might have found a solution. :-) If you like to try out, here is the link to the upcoming 1.1.1339 including the removal of app packages from the machine. I’d be happy to receive your feedback!